Well I’m back. I thought I’d share a few things that I’m working on and something finished. 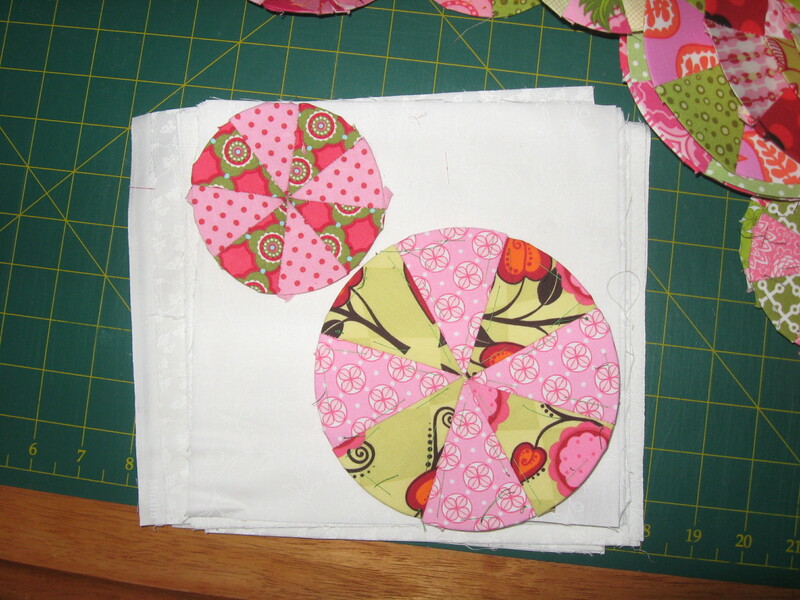 I’m currently working on a Quilt called Pies and Tarts which was designed by Sue Daley at Patchwork with Busy Fingers. There are 100 Pies and 100 Tarts in this quilt which are all English Paper Pieced by hand and will be appliqued onto a white background. This is just a picture of 30 Pies and 30 Tarts. Lots more to go. Here is a close up of the size of each Pie and Tart. To the left is a bag that I finished last night. 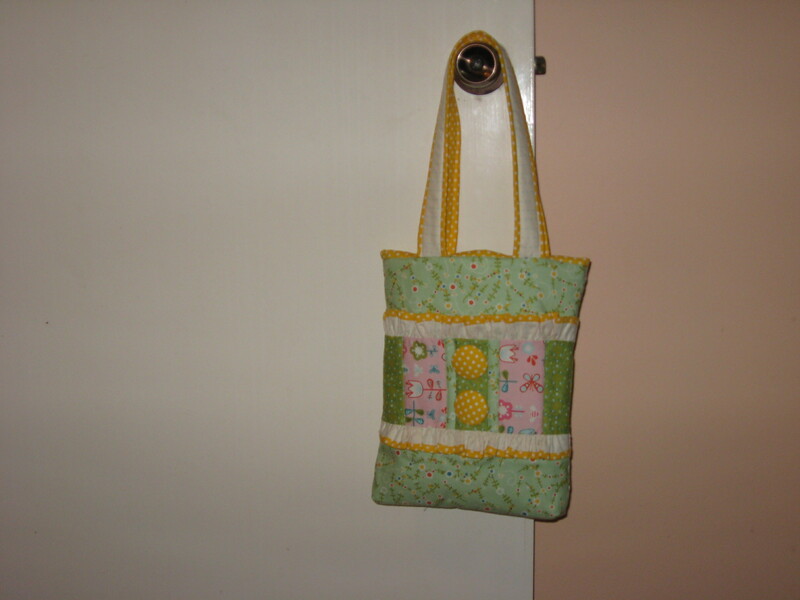 This one of the bags in the Bagalicious Club from Quilt Fabric Delights. Each 6 weeks you receive a new pattern for a bag and the fabrics to make the bag. This pattern is called Girl Friday and is designed by Janelle Wind. Well better go. Talk to you all soon. Wow. The pies and tarts together make an impressive collection. 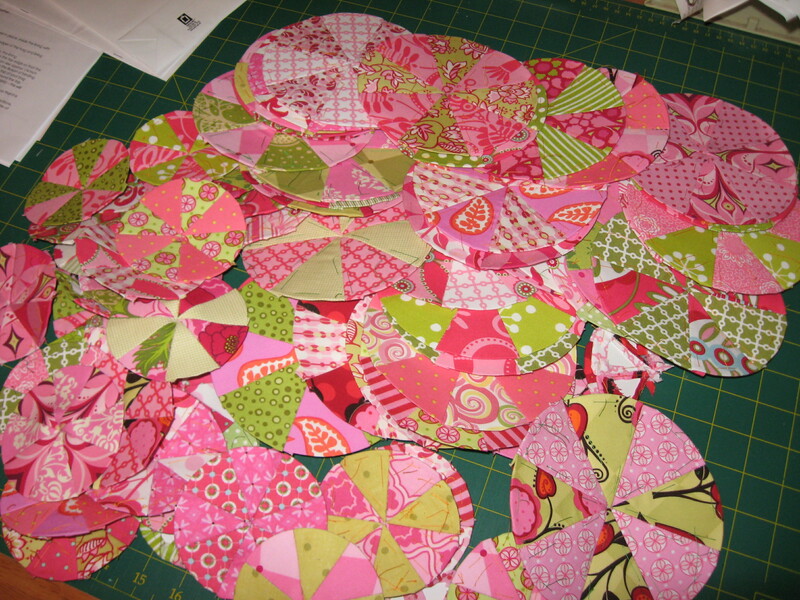 Imagine how big that pile will be once you have finished all of them!